This post was sponsored by Hob Nob Wines as part of an Influencer Activation for Influence Central. All opinions expressed in my post are my own. Planning a Halloween party doesn’t have to be scary! Check out these 9 Frightfully Easy Halloween Party Essentials that will turn your night into something SPOOK-tacular! Halloween-Inspired Beverages. 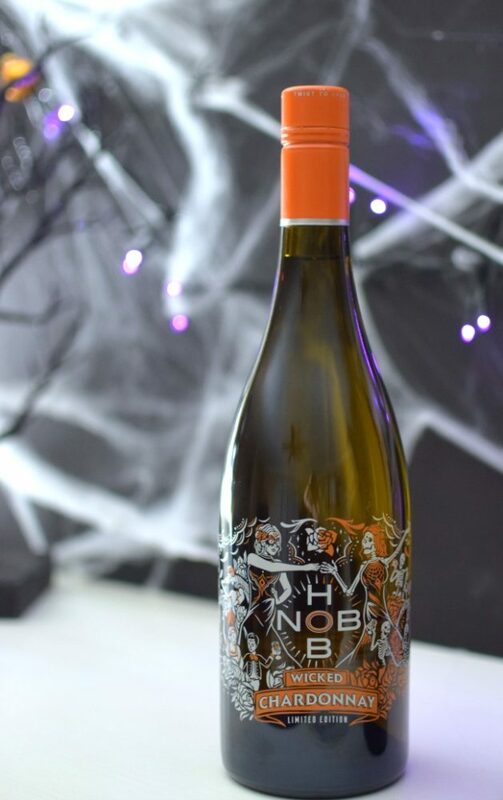 Treat your guests to Hob Nob Wines Limited Edition Wicked Red and Wicked Chardonnay. 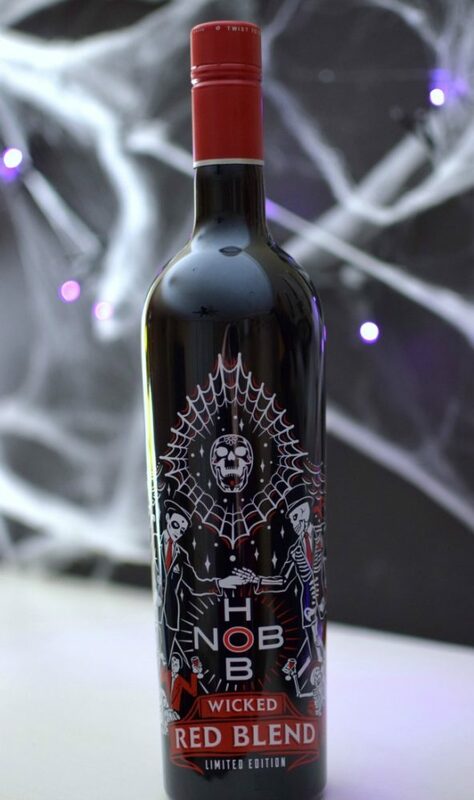 The Wicked Red and Wicked Chardonnay are limited edition bottles and only available during Halloween. Carve Jack-O-Lanterns: Line up a few of your carved creations on your porch leading into the party or make a major statement with more perfectly placed inside. Add colored lights for the ultimate Jack-O-Lantern display! Crafty Pumpkins: Get creative with pumpkins and display them around the party. Some decorative ideas include melted crayon, glitter, jewels, glow in the dark, or chalkboard paint. Halloween Decor: Cobwebs, spiders, bats, skeletons, tombstones, ghosts, lights, etc. Create the ultimate spooky Halloween vibe by hanging cobwebs around the party or dangling bats from the ceiling. You can also add purple or orange lights around your party space in addition to skeletons, tombstones, ghosts, etc. Candles: Dim the lights and add candles around your party space. Candelabras, votives and candles in varying heights will set the tone for your spooky affair. Music: Create a fun Halloween music playlist to play during your party. Songs like Monster Mash, Thriller, Ghostbusters, etc. will have everyone in the party spirit. Halloween Movies: Play Halloween movie scenes in between your music playlist. Everyone will love seeing scenes from classic movies like A Nightmare on Elm Street, Children of the Corn, etc. Halloween Photo Booth: If you’re hosting a costume party, guests will already be dressed up! This is the perfect time to get fantastic photos with a fun Halloween-themed photo booth! Include props like signs or spooky decor that guests can use to take memorable photos. Creative Halloween-Themed Food and Desserts: There are so many creative Halloween food ideas that you can incorporate into your party like Dead Velvet Cake, Ghost S’mores Dip, Poison Apples, Dead Man’s Finger Food Sandwiches, etc. Get creative with your food and freak all of your guests out! Eat, drink and be scary! 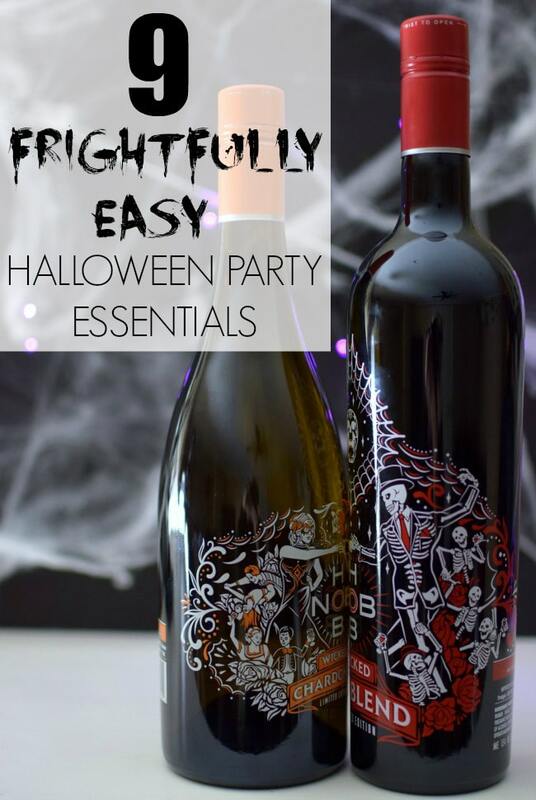 We hope these 9 Frightfully Easy Halloween Party Essentials will help you plan one WICKED soiree! 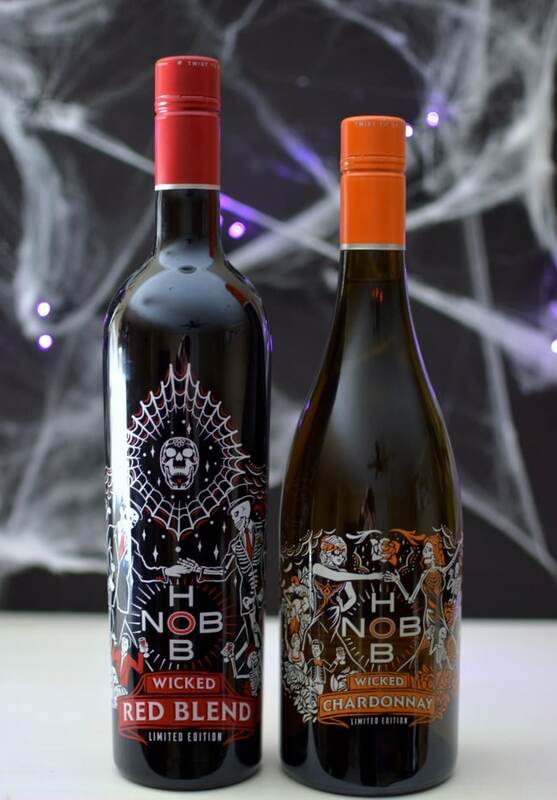 Stay wicked this Halloween with Hob Nob Wines Limited Edition Wicked Red and Wicked Chardonnay. 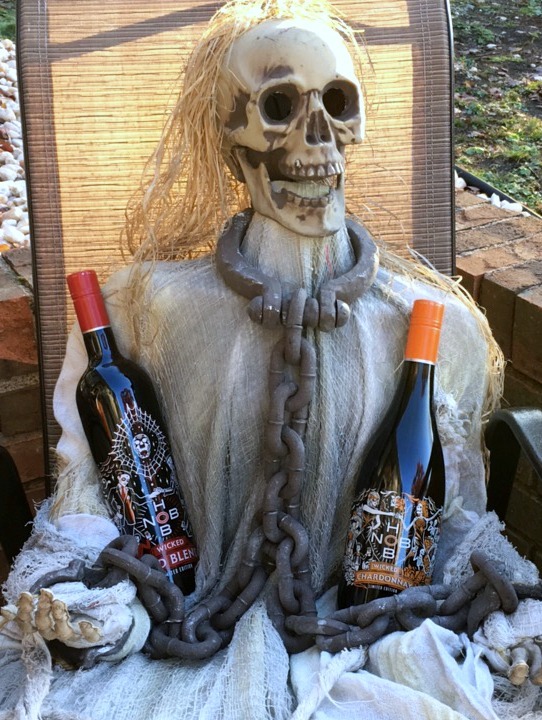 For more treats, visit Hob Nob Wines on Facebook and Instagram. Happy Halloween!